What I found is that there are a few ways to do it. For example, one method deals with the actual actions that shape the waveform. (I will go over this method in a different article.) Another, the one chosen for this article, reveals a functional framework of what a waveform is all about. My goal, as usual, was to build a graphical representation of the assembly that makes up a waveform. Accomplishing this means identifying the functional building blocks. Of course, as a mechanic, I take the mechanics approach and start taking things apart. 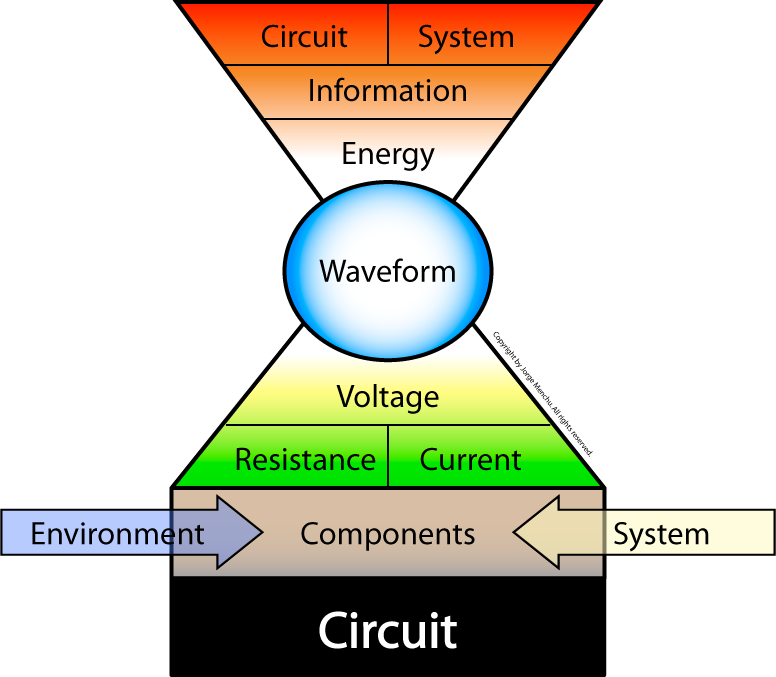 Starting with the waveform as the focal point, there are two pathways for disassembly of the waveform system: Via the parts that lead to where the waveform comes from and the parts that lead to where it goes. 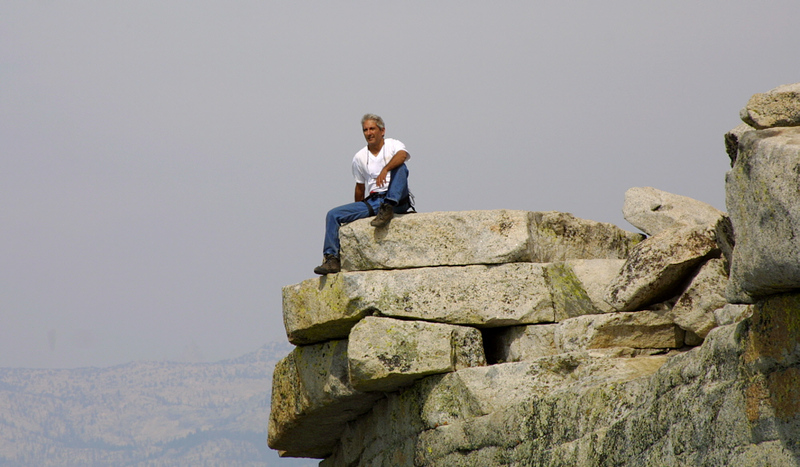 In the following links, I will take you step by step in both directions. First, we will go against the natural flow of the system, starting at the waveform and going down through the parts make up the waveform. 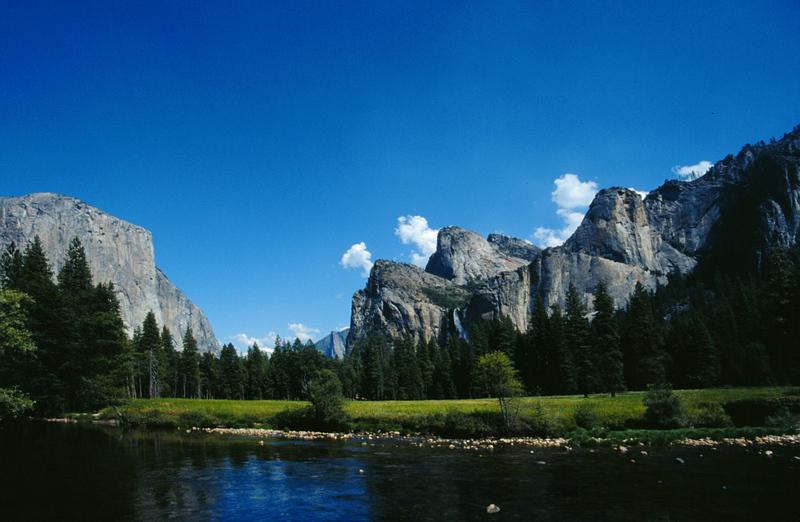 Then, we will follow the natural flow of the system information from the waveform up. So, what value is this? For one, I see it as an excellent way to exercise my mechanical skills beyond the nuts and bolts. Two, this type of "find the functional building blocks" mechanical tear down creates a framework that can be used as a foundation to work from. For example, as a result of this framework, I was able to build a more thorough and effective framework approach for waveform analysis! What is the circuit information? What is the system information? Do the waveform changes look like they should be there? Do the waveform changes look controlled or random? Questions 1 and 2 are about reading the waveform. The others deal with unexpected occurrences. If the unexpected is a "controlled" issue, then the path to follow is that of the system information. For example, an injector stays at 2 mS during an attempt to accelerate. 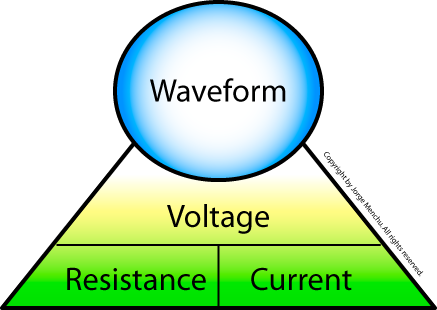 If the waveform changes then the relationship between the voltage, current and/or resistance had to change. 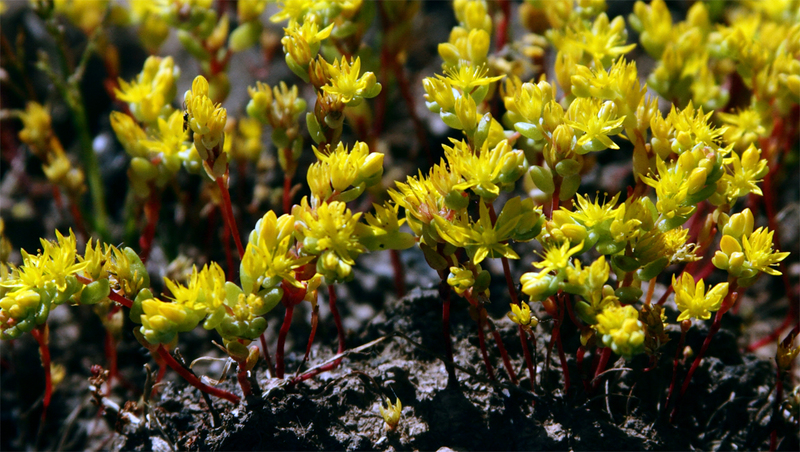 What changed the VRI relationship? 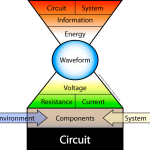 If it is not noise and the circuit has a steady source supply, the change is the result of the components that make up the circuit. What causes components to change? 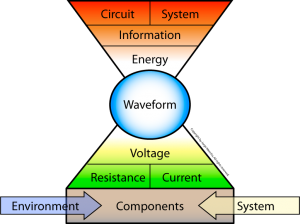 Components change as a reaction to changing conditions from within the circuit, or the environment, or as a result from a stimulus from a related system/circuit. And, sometimes components just fail. The next step is to pinpoint the exact source. This story continues and leads to what I call, Building a Waveform – Ohm's Law II. Keep an eye out for a future article. 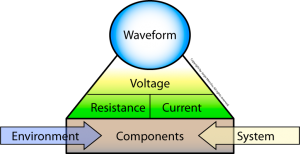 A waveform is a line graph of voltage changes over time. A waveform, as displayed on a lab scope, is the result of the difference in voltage between the circuit test points of the red and black test leads. 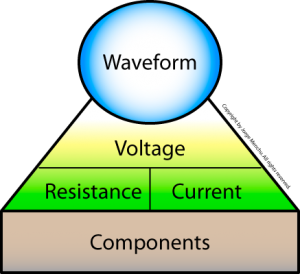 If the waveform voltage level changes, then the relationship of the voltage, current and/or resistance changed within the circuit. 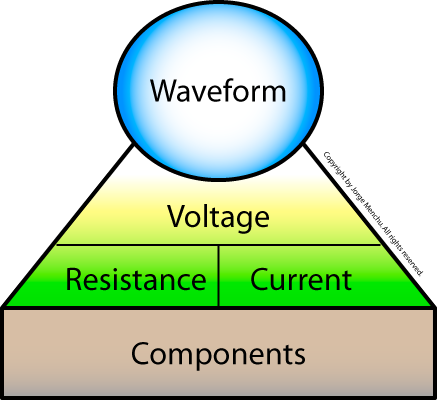 If the change is not the result of induced electrical noise, then it is the result of the components that make up the circuit. 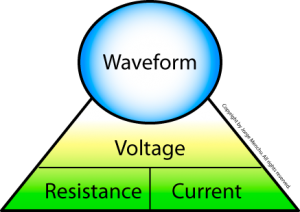 If the waveform voltage level changes, then the relationship of the voltage, current and/or resistance changed within the circuit.. So, what changes the components? 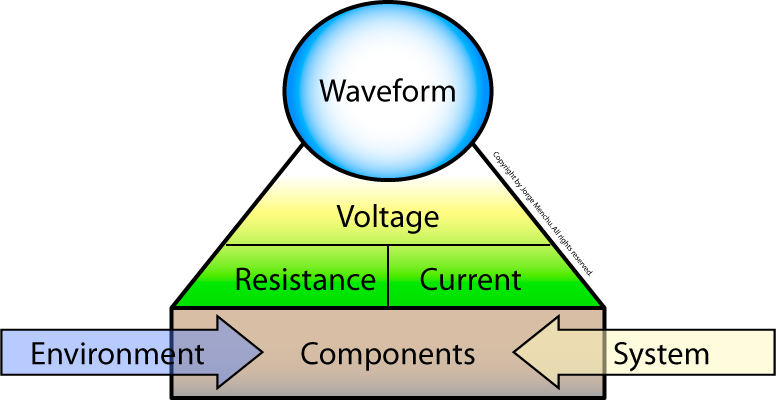 The components can change, as a reaction to changing conditions from within the circuit, or the environment, or as a result from a stimulus from a related system/circuit. And sometimes components just fail. A coil field collapse exceeded the break down voltage of a spike protection diode. 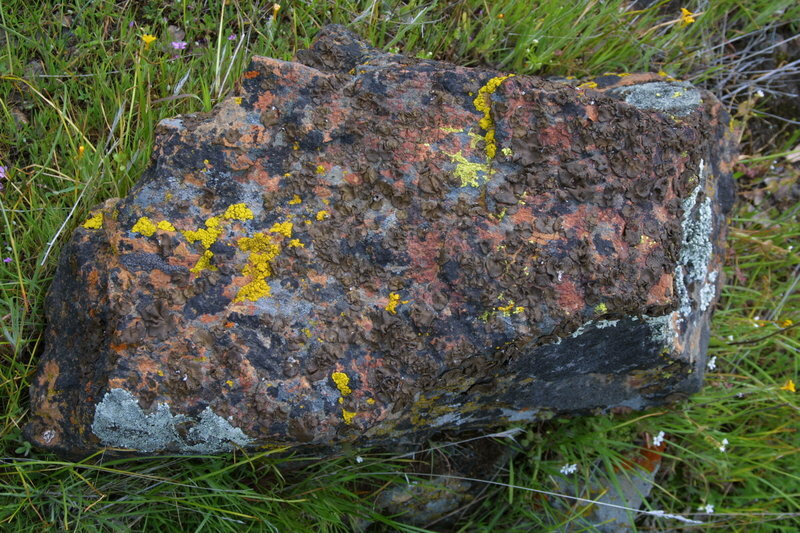 A high environmental temperature caused the resistance of a component to go up. The PCM activated a transistor completing a circuit. A transisitor stops switching, do to an internal failure. Jumping back to our waveform starting point. Now, lets follow the natural progression of the waveform system. 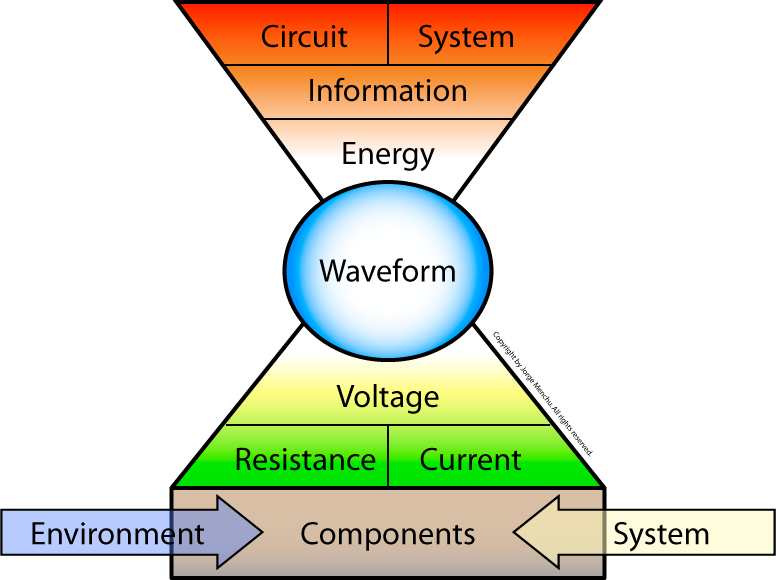 Building up from the waveform is to follow the flow of energy/information. The voltage waveform represents the energy, in the form of a pressure (voltage), at the test point. 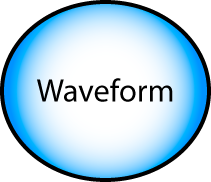 Encoded in the energy of the waveform is information. The information the system uses to operate. Example: The pulse width of an injector is the information to run the system. The toggling of the voltage to an AC compressor indicates the systems desire to energize the AC. This entry was posted on Friday, February 12th, 2010 at 4:15 pm	and is filed under Golden Outlines. You can follow any responses to this entry through the RSS 2.0 feed. You can leave a response, or trackback from your own site.